Nashik is a holy city in Maharashtra, around four hours away from Mumbai. The mighty river, Godavari, has its origin in Nashik. An idyllic place with excellent weather for at least six months of the year, it has, over the past decade, emerged as the premier vineyard destination in India, with the majority of domestic wines being produced there. With its mix of ancient temples that have links to important mythological epics to the new age vineyards that have cropped up, Nashik has several things to do for tourists interested in the Hindu religion or Indian wines. Sula Vineyards is one of India’s leading wineries and is located in Nashik. Sula offers group and personalised wine tours at their premises. The wine tours are very informative and a lot of fun. If you can, then go for a personalised wine tour to enjoy the vineyard at your own pace. Tourist tip: Get here early, so you have a higher chance of being in a small group for the tour. The York Winery and Tasting Room is another fabulous winery and vineyard in Nashik. It has a more laidback ambience than Sula with equally good wines and a great view. York is situated in a very beautiful part of Nashik, which gives you another good reason to visit. Try out the great food on offer. Tourist tip: Call before to make a reservation to ensure they’re not full up. 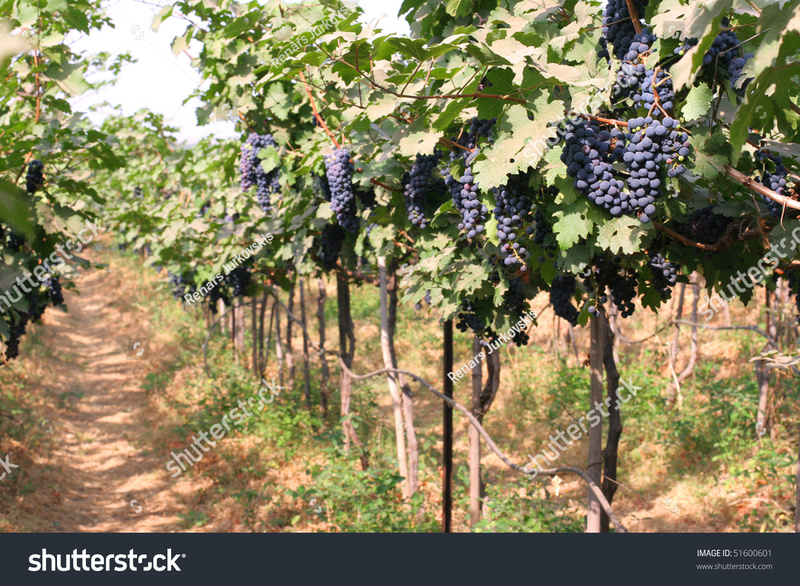 Here is another top quality vineyard with a gorgeous view; a lovely place with amazing scenery of the hills and nearby lake. Vallonne Vineyards is located in a slightly secluded spot, about 25 kilometres from Nashik, but this adds to its exclusivity. Tourist Tip: Vallone Vineyards houses the Mallaka Spice restaurant on its premises, serving excellent South East Asian Cuisine. The Trimbakeshwar Temple is situated in Trimbak, Nashik district. It is an ancient Hindu temple for Lord Shiva and its name is derived from Trimbak, which means three-eyed. It is a sacred Hindu temple and is one of the twelve jyotirlingas in India. 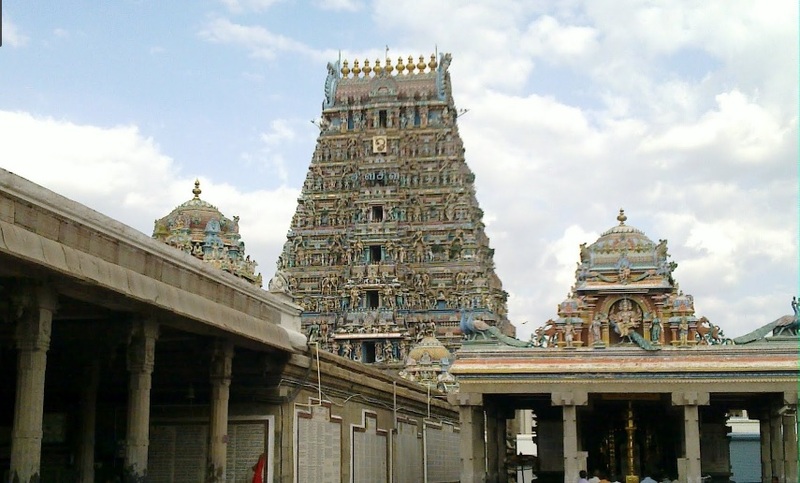 The temple has three lingams representing Shiv, Vishnu and Brahma. The Godavari river originated from near Trimbak. Tourist tip: It’s usually crowded, particularly on the weekends, so factor in a wait time of around 30 minutes. Also, photography is not allowed inside. The Kalaram Temple is an ancient Hindu shrine dedicated to Lord Ram. The temple’s name originated from the fact that the colour of the statue of Lord Ram is black. The statutes of Lakshman and Sita are also carved from the same type of stone. Tourist tip: The temples close at 10 pm. Photography is not allowed inside the temple. Saptashrungi is a Hindu pilgrimage site located about 60 kilometres from Nashik. The name is derived from Sapta (seven) and shrung (peak). According to ancient Hindu myths, it is believed that Goddess Saptashrungi Nivasini dwells in the seven mountain peaks here. Tourist Tip: You can book a trek online to explore the Saptashrungi range, at various durations and difficulty levels. Sita Gumpha is in the Panchavati area of Nashik and is considered one of the top pilgrimage sites here. It is believed that Lord Ram, Sita and Lakshman lived here while in exile. The cave is situated inside a temple. Tourist Tip: The caves here are very narrow and can be disconcerting for some people as you need to crawl through to access certain areas. Muktidham is a Hindu temple that’s largely made out of marble. This temple houses replicas of all 12 Jyotirlingas in the same dimensions as the original Jyotirlingas. It is a popular tourist attraction situated about 7 kilometres from the city, very close to Nashik station. Tourist tip: Photography is not allowed inside the temple. However, phones are allowed. Located about 7 kilometres away from Nashik, Someshwar Temple is a temple that is dedicated to Lord Shiva. 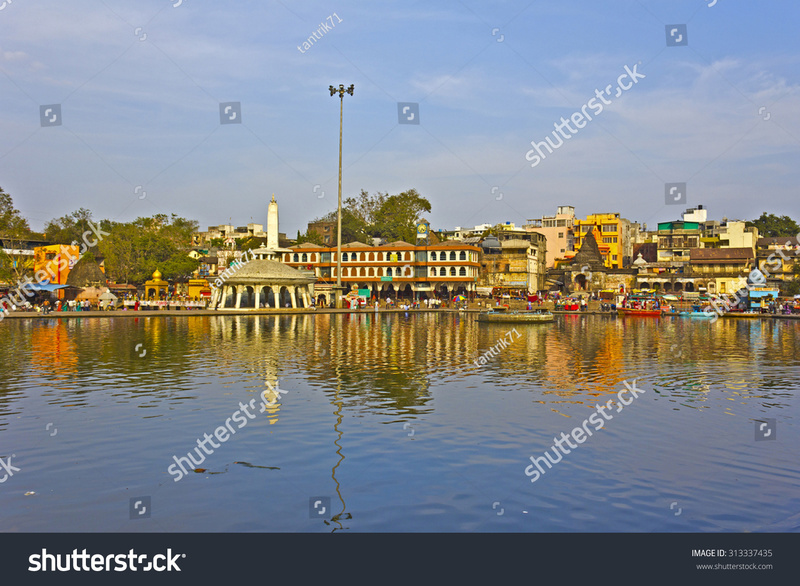 Like many other temples in Nashik, it too is situated on the banks of the holy river Godavari. It is a very old temple and looks beautiful. Tourist Tip: Going boating here is a fun add-on activity. 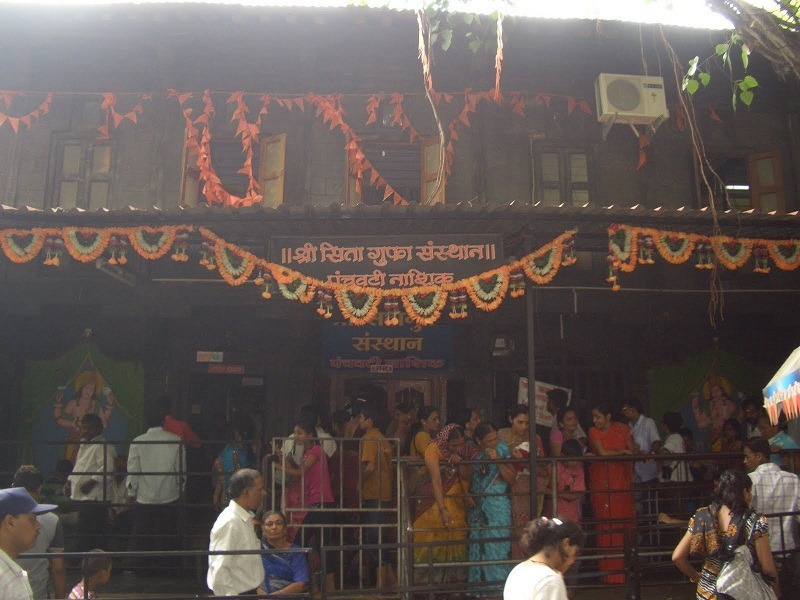 The Navshya Ganapati Temple is more than 300 years old. 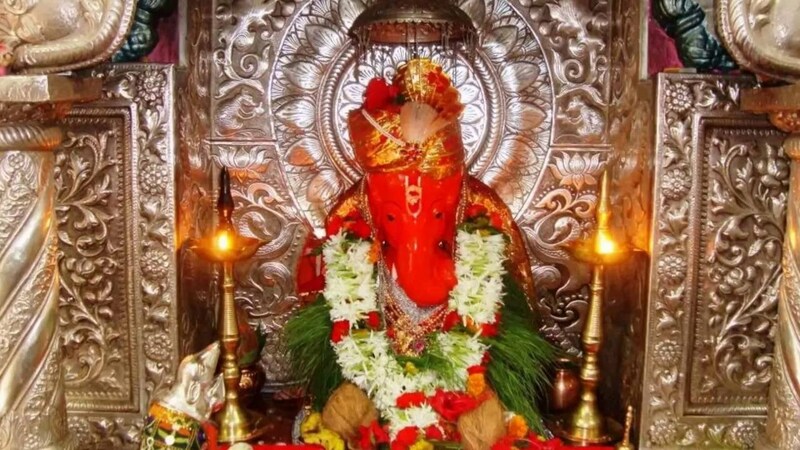 This idol of Lord Ganesha is famous because it is believed that it grants the wishes of all those who visit the temple. The temple is on the banks of the river Godavari. It’s a serene place with lots of greenery. You can choose to go boating on the river. Tourist Tip: Go boating on the river to take in the scenery. Kapileswara is a very old temple, situated close to Ramkund. This temple doesn’t have a Nandi idol. The reason for this is that Nandi had suggested to Lord Shiva that he should bathe in Ramkund to atone for the sin of killing a cow. Tourist Tip: You can go there by auto-rickshaw there but make sure you bargain for a reasonable fare. Considered sacred by Buddhists, the caves are located about 8 kilometres south of the centre of Nashik. Pandavleni Cave is a group of 24 caves that were carved between the 1st and 3rd century BC. There are about 300 steps that take you all the way to the top of the hill to explore these caves with their centuries-old inscriptions and carvings. Timings: 8.30 am to 5.30 pm. Tourist tip: To get there, you can take an auto-rickshaw or bus from Nashik. Anjenri Hills is believed to be the birthplace of the mighty Lord Hanuman and is named after Lord Hanuman’s mother, Anjani. There is a temple located here that’s dedicated to Anjani. The hill is an excellent spot for a bit of trekking; going up from the village main road should take you about two hours. Tourist Tip: Take some food and water along with you as it may not be available during your trek. Ramkund is situated in Panchvati, on the banks of river Godavari. The Kumbh Mela takes place every 12 years here. Lord Ram is believed to have bathed here; hence the name Ramkund. Hindus immerse mortal remains of their relatives here. The Gandhi Lake close by is so named because the ashes of the Father of the Nation, Mahatma Gandhi, were immersed there. Tourist Tip: A good place to walk around, taking in the spirituality and energy of the surroundings. The Gangapur Dam is a very beautiful picnic spot in Nashik, located near a village called Gangawadi, 10 kilometres from Nashik City. This place has the most stunning sunsets and is a great place to just hang out and relax during the evenings. Tourist Tip: The dam is very close to Sula Vineyards, where you can head over to after watching a spectacular sunset. The Nashik City Center Mall is the largest mall in Nashik. It is very well maintained and has a collection of good retail outlets, places to eat and a multiplex theatre if you’re in the mood to catch the latest movies. Tourist Tip: Good to spend a few hours browsing the stores with friends or family. Located about 30 kilometres away from the city centre of Nashik, the Bramhagiri Hill is from where the holy river Godavari originates. It is an excellent trekking spot and you can easily spend a few hours walking about. The hill used to have a fort, of which the ruins now remain. Tourist Tip: The trek can be strenuous for some; don’t forget to stay hydrated. About 8 kilometres away from Nashik, Dudhsagar Falls is a popular picnic spot that is quite close to the Someshwar temple. It is one of the highest waterfalls in India and is a spectacular sight to witness. The name Dudhsagar means ‘sea of milk’. Tourist Tip: Visit after the monsoon to see it in all its glory. So this was our list of the top 18 places to visit or things to do in Nashik. 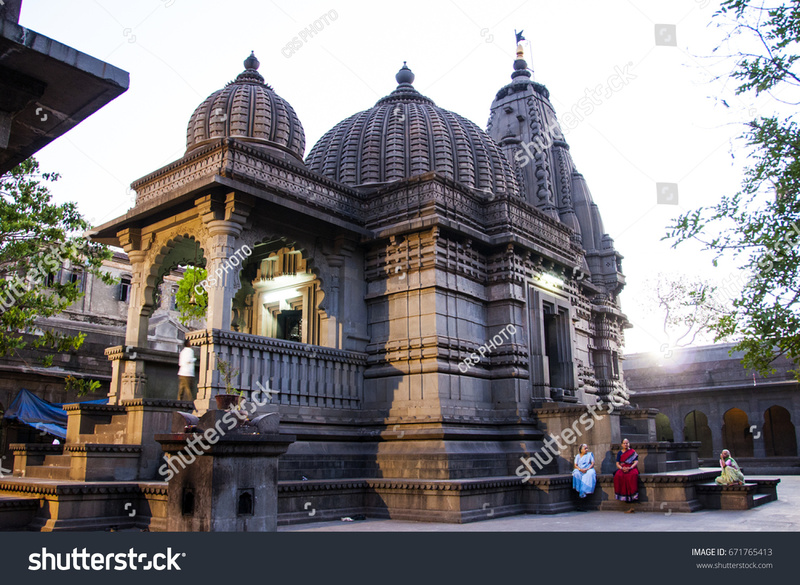 Nashik, as you now know, is a great place for those who are interested in Hindu religion as it has many ancient and important temples in and around the city. It is also, perhaps, the top city to visit in India if you’re interested in wines. 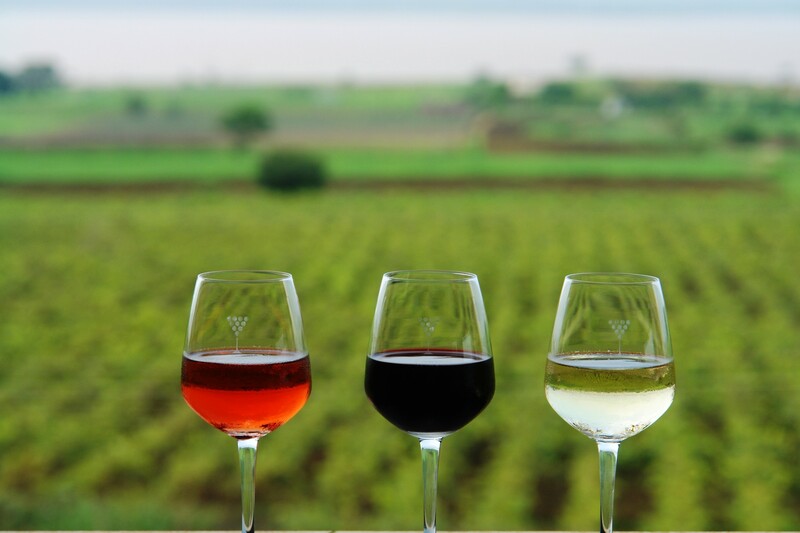 The collection of top quality wineries and vineyards makes Nashik an absolute must visit the place. We hope you have fun visiting the beautiful city of Nashik. Please do let us know which of the above places you visited. If you found other places to add to this list, then please let us know in the comments below.